President Trump took notice of a widely circulated photoshopped image on Twitter to poke fun. 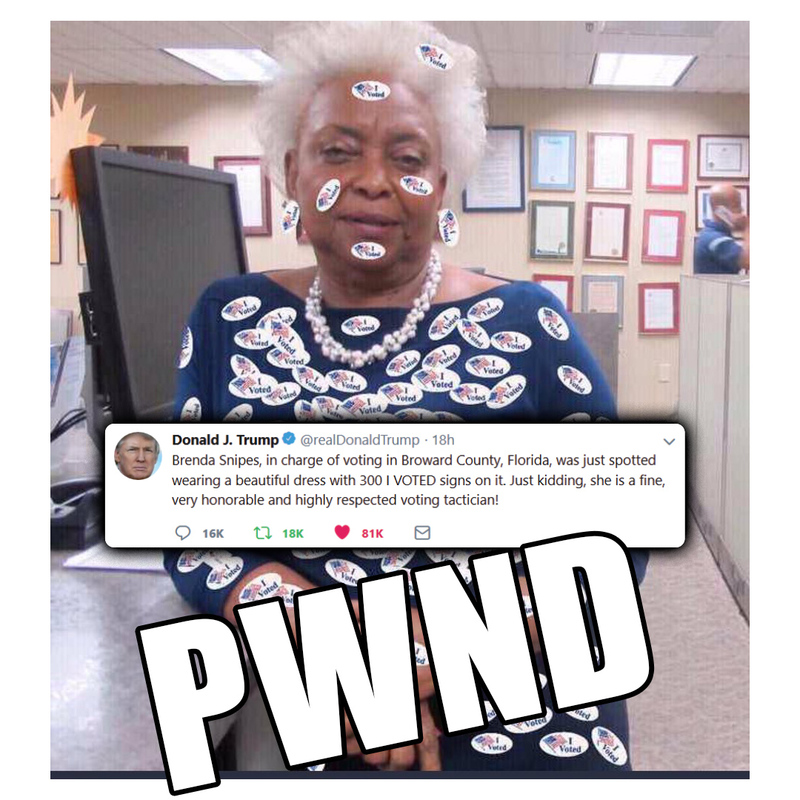 Brenda Snipes is the Supervisor of Elections at Broward County, Florida. Her tactics include hiding, destroying and failing to mail ballots. After it appeared election results would not be favorable to Democrat Andrew Gillum, Snipes’ office missed the machine recount state deadline by two minutes.